Nintendo is learning from its flops. 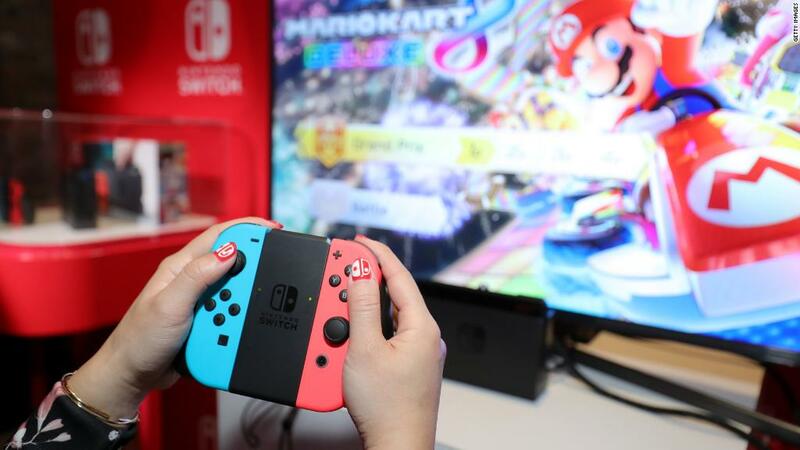 The success of the company's latest gaming console, the Nintendo Switch, is the result of lessons taken from the failed Wii U, according to Reggie Fils-Aimé, the president of Nintendo America. "We worked hard for the Nintendo Switch to make it crystal clear what the proposition is," Fils-Aimé told CNN Tech correspondent Rachel Crane. "It's a home system that you can take on the go, play anywhere with anyone, and that's resonating." The Nintendo Switch -- part portable device, part TV-linked console -- has been a big hit since its March release. Nintendo now expects to sell 14 million of the devices for the year ending March 2018, up from its prior estimate of 10 million. For comparison, the Wii U sold just over 13 million units since its launch in 2012. It was discontinued earlier this year. One major difference between the original Wii and Wii U is that the newer console had a touchscreen controller. But overall, the incentive for consumers to buy a Wii U wasn't obvious. The console also didn't have a consistent flow of new games supporting the system. "We've addressed that with the Nintendo Switch -- having a steady pace of new launches is critical," he said. The Switch includes games like "The Legend of Zelda: Breath of the Wild," "Super Mario Odyssey" and "Mario Kart 8 Deluxe." Another issue with the Wii U was that it didn't have "strong support" from Nintendo's third-party partners, Fils-Aimé said. "Whether it's the big companies like Electronic Arts, or whether it's the smaller independent developer, we need those companies to create content to support us. We have that now with Nintendo Switch," he said. Nintendo Switch isn't the only recent hit for the company. Its miniature-sized NES Classic Edition and the newer Super NES Classic Edition sold out soon after their respective launches. The retro-style consoles have the look and feel of the popular gaming systems from the 90s, but are packaged into a smaller and more portable body. The Super NES Classic Edition is likely to be a hot item this holiday shopping season; that is, if you can get your hands on one. The console remains sold out online at retailers like Best Buy and GameStop, but is still available elsewhere like on eBay. While Fils-Aimé would not disclose whether consumers will see more miniaturized versions of gaming consoles in the future, he said "certainly, we recognize that our consumers love all of this great legacy content."